Trapped in a remote stronghold, Dinah is one of many being forced to fight in an underground arena. The good news is that Dinah is not alone, for the heroine Vixen is also a captive here and Dinah has learned that her mysterious guardian angel is her long lost aunt! But can Dinah really trust either one of them? The artwork this month is something of a mixed bag. Guest artist Sandy Jarrell is competent but hardly outstanding. Jarrell's female figures all look like a stiff breeze could knock them over, which is something of a problem when most of the characters are meant to be experienced warriors. 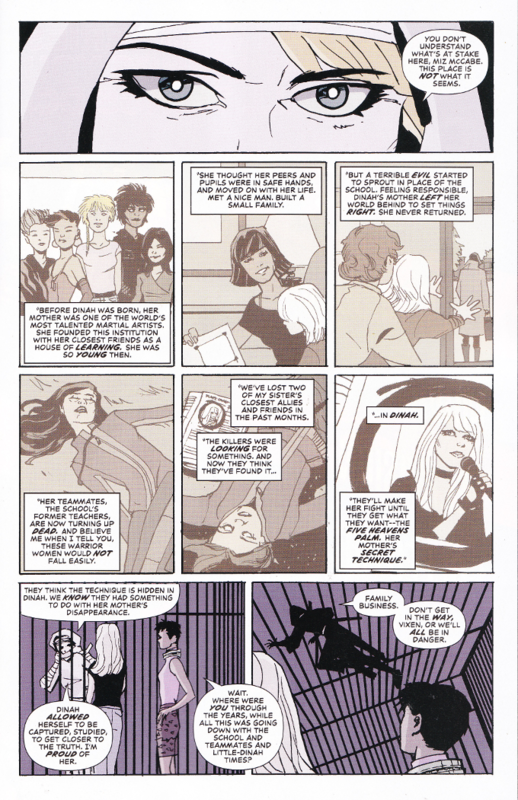 Lee Loughridge does their usual outstanding job on the colors but the whole comic looks drab and dull due to most of it being set in a prison. The script for this issue is a showcase of everything Brenden Fletcher does right and wrong as a writer. Most of the action of the issue takes place off-panel and we are told rather than shown most of the information regarding what has been going on in a massive info dump regarding Dinah's past. (Incidentally, it turns out the mysterious blonde ninja is Dinah's aunt - not her sister, as I'd guessed.) 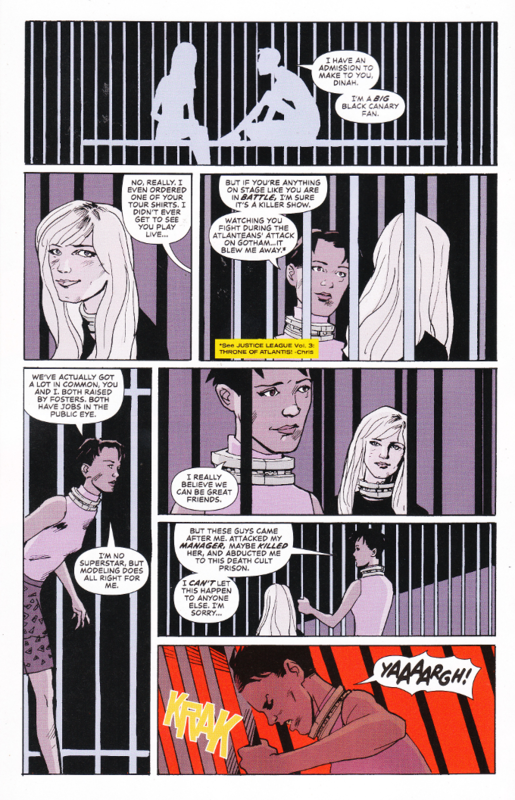 What Fletcher gets right, however, is the relationship building between Vixen and Black Canary. You really want to see more of these two teaming up in the future. I just want to see it in a different title.